I’m gonna be honest…I don’t know a lot about Russian cuisine. In fact, my knowledge on the matter stretches no further than stroganoff, borscht, and vodka. In fact, I think borscht might actually be Ukrainian so there goes that. It’s interesting to me that Americans can be inundated by foods from around the world (especially Italy, Germany, Mexico, and the UK) but yet there’s so much world cuisine that we are unaware of! Apparently, not a lot of Russians want to share their recipes with the world. 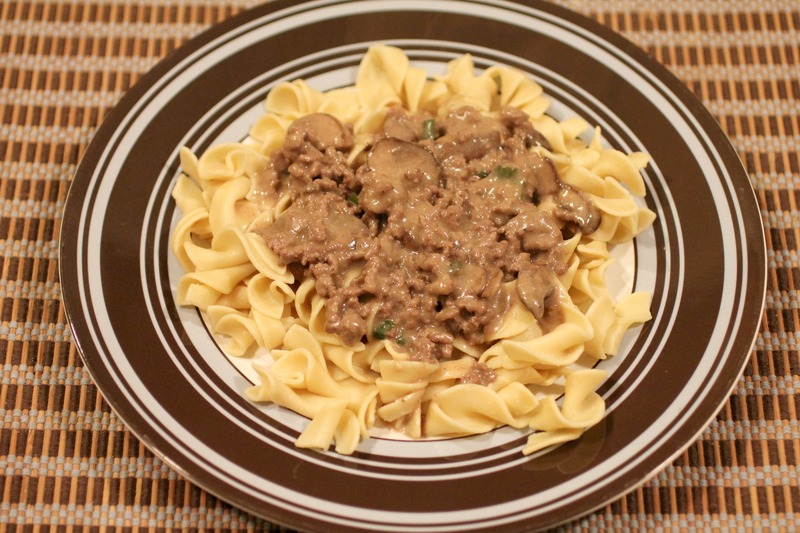 Stroganoff, however, became popular in the US after WWII when all the servicemen who had eaten it in Russia came back home. So you can not only be thankful for them fighting for our freedoms, now you can also thank them for bringing us stroganoff. This is a crazy easy and quick meal to prepare. While the pasta was boiling, I prepared the meat and the sauce. By the time the pasta was ready, so was the meat. So basically this whole meal took only as long as it took for my pasta to cook. That’s a pretty sweet deal, if ya ask me. Especially when the results are delicious! Brown meat, onions, and mushrooms in a sprayed pan over med heat. Drain off any fat. Add gravy, sour cream, garlic salt, and pepper and mix well. Cook for 3 – 5 minutes more. What kind of beef gravy did you use? One not made with foul, pig or lamb.